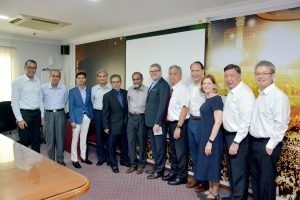 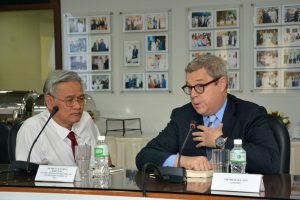 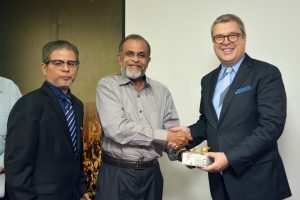 Dr Brett Scharffs, Director of the International Center for Law and Religious Studies at Brigham Young University, Utah (US) accompanied by The Church of Jesus Christ of Latter-day Saints Singapore officials visited Jamiyah Singapore on 15 December 2018. The visit was hosted by Dr H M Saleem, Vice President of Jamiyah Singapore. 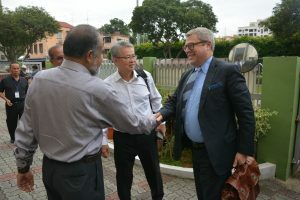 In their discussion, Dr Brett showed keen interest in knowing the various services and programmes that Jamiyah offers. 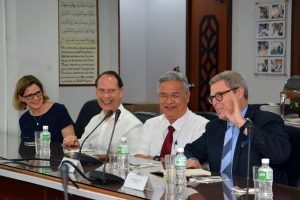 He hopes that Jamiyah and BYU will work together on a common mission of promoting peace and human dignity initiatives in the near future.